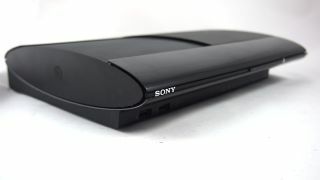 It may well be in its swan song before getting a successor, but the PS3 can at least sail into the sunset in the knowledge that it has hit the 30 million mark across the so-called PAL regions. The 109 territories of Europe, Middle East, Africa and Oceania are grouped together by their television technology (PAL rather than NTSC) and Sony will be delighted that its now ageing console has hit 30 million sales since its launch in the regions in 2007. That landmark was reached on December 17, handing Sony Computer Entertainment Europe (SCEE) a nice early Christmas present. More than 5 million of those consoles were sold in the UK (it breezed past that total in October this year) and the Christmas period has given the PS3 another boost. The general consensus is that we will see the announcement of the PlayStation 4 in 2013, at a similar time to the expected announcement of the Xbox 720 or whatever Microsoft decides to call its Xbox 360 successor. The PS4 remains unlikely to actually arrive in our living rooms until 2014, but after a start haunted by availability issues and PR woes, the PS3 will now rightfully be known as a quality performer.